“I learned about Corolla’s wild horses from my mom. I started saving after I came home from my Outer Banks vacation last year. I saved money from my birthday and Christmas, and my family donated, too. I saved all of the loose change I could find! 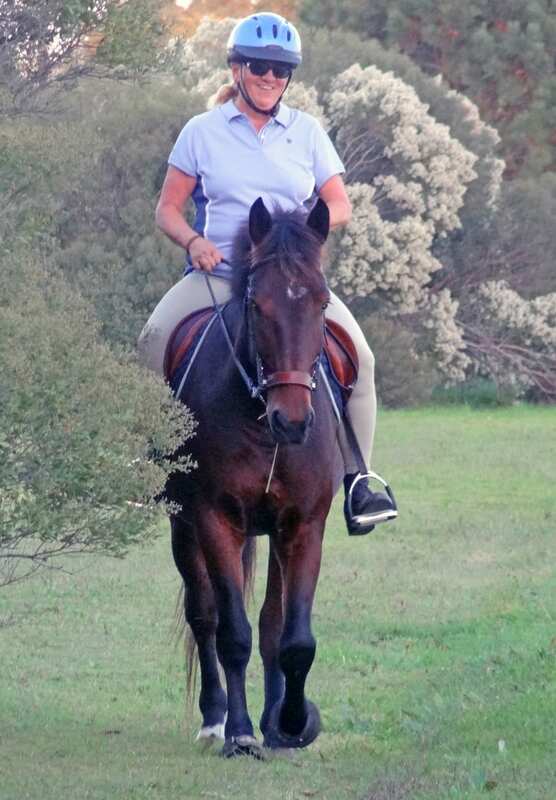 My favorite book about horses is Whinny of the Wild Horses, by Amy Laundrie. I’ve been riding for about seven years, and I’m 13. 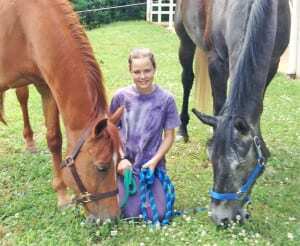 I lease a 20 year old quarter horse cross buckskin mare named Girlfriend. I love all horses (especially the Colonial Spanish Mustangs! 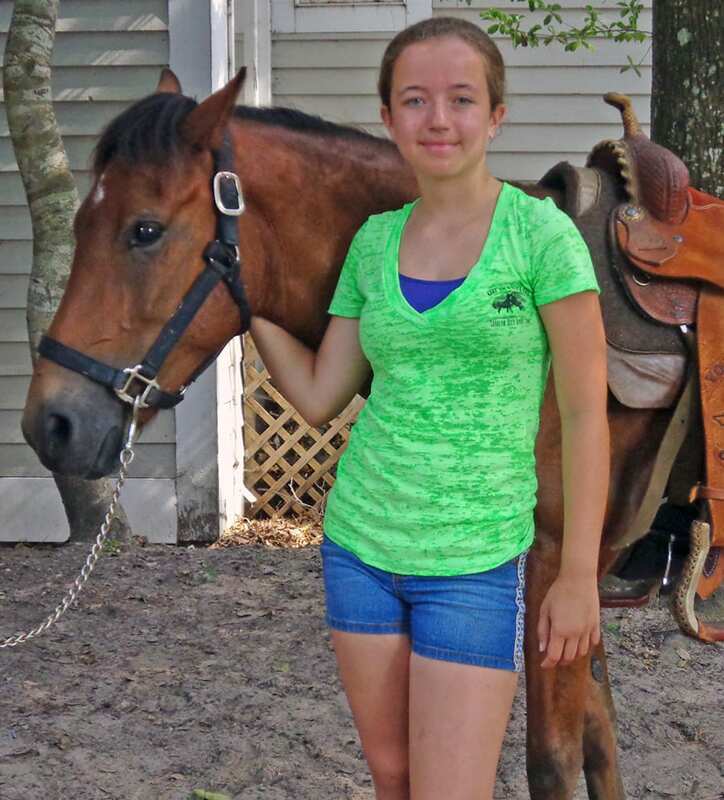 ), and hope to do more volunteering in the future.” Claire is shown here with Creed, a Colonial Spanish Mustang who is saddle trained and available for adoption through the Corolla Wild Horse Fund. Creed was born in 2006 and stands at about 14.1 hands. If you are a current member and would like to be in Member Spotlight, please send an email to programs@corollawildhorses.com. 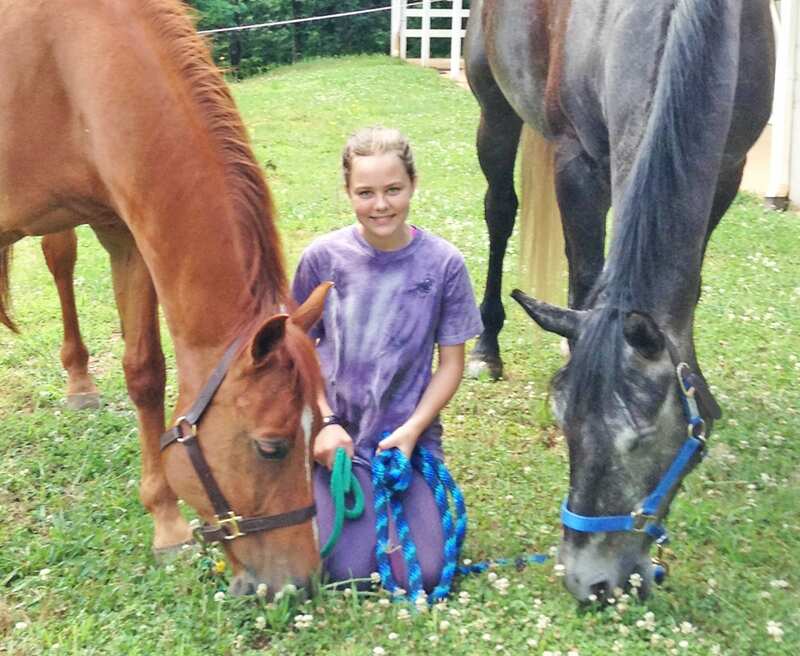 May 2014: Our Member Spotlight shines on 12 year old Olivia Lantz. She is 12 years old and is in 6th grade. Olivia has been riding horses since she was five and owns two horses, James & Remington. Her favorite horse book is the Canterwood Crest Series. Olivia sponsors FIVE (5!) of our Corolla wild horses and we can’t thank her enough. Please join us in our appreciation of Olivia for her continued support!